The palatial Bel-Air estate of Jeanne & Anthony Pritzker, with views of the entire city, was the perfect setting of “Stars Under the Stars”, a one time appearance by the world-renowned artists of the American Ballet Theatre. 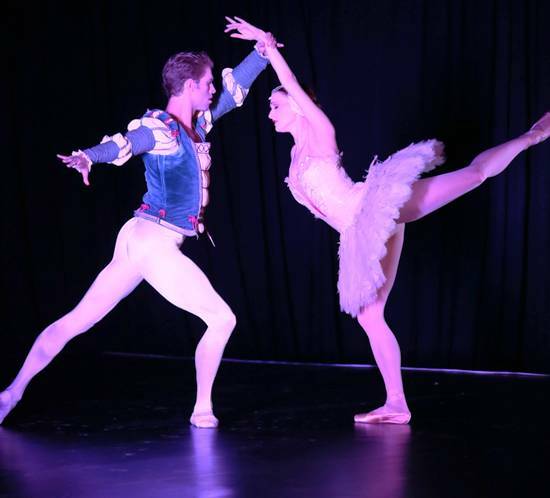 Among the performers were Principal Dancers Gillian Murphy and Cory Stearns, and Soloists Misty Copeland and James Whiteside, dancing selections from the Company’s unrivaled repertoire. Their Pas de Deux from Swan Lake was mysteriously haunting, performed on the tree-lined patio of this extraordinary estate. ABT CEO Rachel Moore welcomed the 200 guests, and announced the formation of Project Plie, who has joined with the Boys & Girls Clubs of America, to form a comprehensive initiative to increase racial and ethnic representation in ballet. More than $230,000 was raised to support the ABT appearances in Southern California. 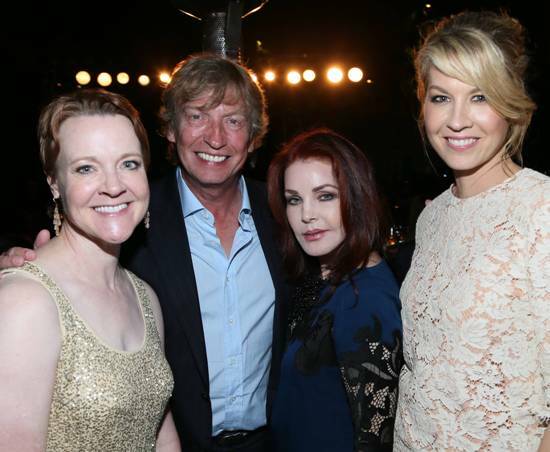 Among the celebrity guests were many actors who originally began their careers in the field of dance including Neve Campbell (Scream), Jenna Elfman (Dharma & Greg) — who told us she was the tallest ballerina in history; Jane Seymour (who was a prima ballerina in her youth) and Priscilla Presley, who was escorted by Nigel Lythgoe, of So You Think You can Dance, (and she does!). 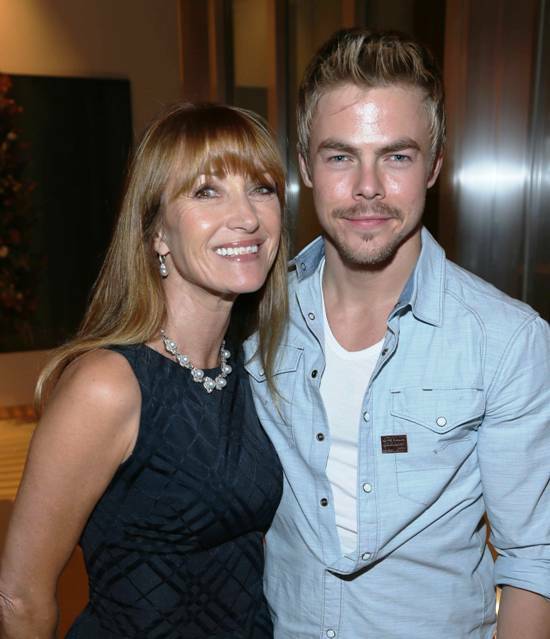 Other talented Terpsichore guests included Derek Hough(Dancing With the Stars) who escorted his newest partner, Amber Riley of Glee. Since Amber rated #1 on the show last week, we see a huge crystal globe in her future. Universally recognized as one of the world’s preeminent cultural organizations, ABT has been designated by the US Congress as “America’s National Ballet Company. Few dance companies can equal the quality of their productions, and the range of its repertory, or the extent of its education programming. Up Coming Events: Keep Oct. 26th open for the Center Theatre Group Affiliates “Angels Night” fundraiser at the Hyatt Regency Century Plaza Hotel. This event supports programs for youth; arts, education and mentoring, and they have raised millions over the years to introduce disadvantaged youth and their families to the theatre arts. The theme (my favorite) is the Roaring Twenties, and I am getting my Gatsby Gown ready to doing a classy Charleston. Actress Michele Lee will emcee the gala, and Tracie Bennett from End of the Rainbow, will received the Distinguished Artist Award, and perform music from her award-winning role as Judy Garland. For ticket info, please contact Mandi Or at 213-972-7620. Ava Fries (who chairs this event) know how throw a bash – and this is one you won’t want to miss!